I am a huge fan of fermented veggies especially kim chee. My favorite kim chee is Rejuvinative Foods Spicy Kim Chee which I have used in a number of different ways. I have made kim chee spring rolls, kim chee fried rice and my favorite way to eat it is on top of a bowl of rice with beans and steamed veggies- or straight out of the jar! 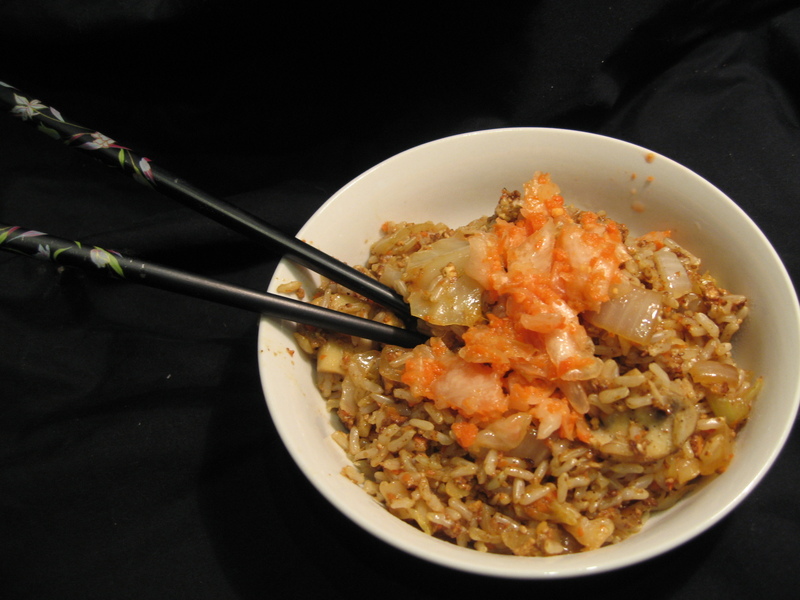 Now you can get Rejuvinative Foods- Spicy Kim Chee in my OpenSky store. Rejuvinative Foods Spicy Kim Chee is 100% organic, vegan, raw, gluten free, and made from fresh, shredded and unheated vegetables. It is also a rich source of lactobacilli and enzymes and of course delicious and with high fiber content. Reminder- use the Coupon Code: THIRTYVEGAN today! The coupon is good for the 1st five 3 customers who use it and expires on 9/30, so don’t wait!- I just purchased some myself! 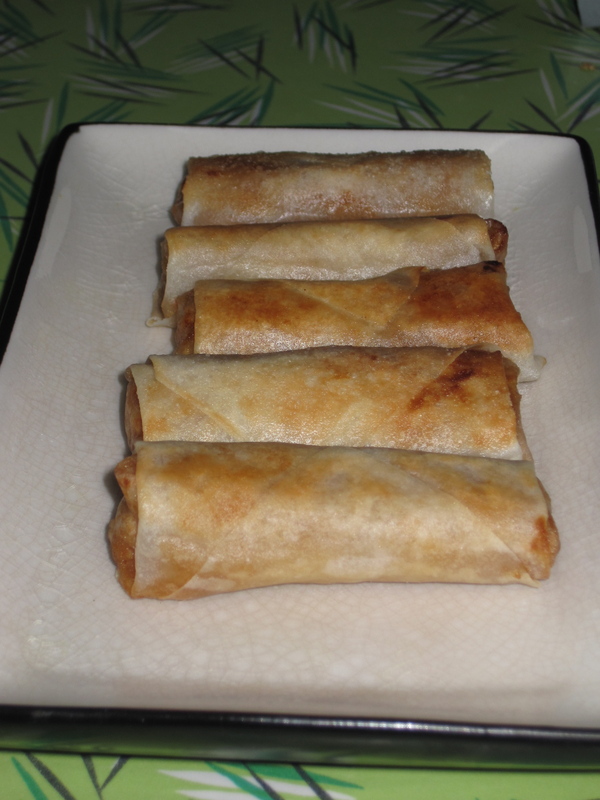 Fill each spring roll wrapper with 1 tablespoon of filling and tightly roll. Repeat until all the fillings is used. Heat oil in a sauce pan over medium high and fry the spring rolls until they are lightly browned on all sides.